Add Social popup with Social buttons to your site, share/like your content and make your site more popular. Now let&apos;s check the options one by one. Click on the Social networks you wish to add in the popup. The selected ones will appear in the right box. You can remove them clicking on them from the right box. 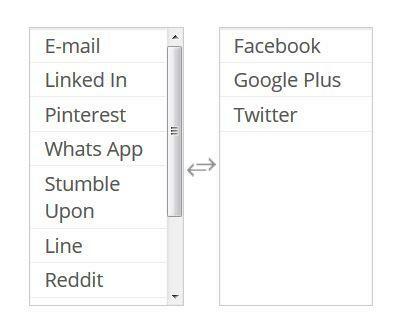 Share URL - Add the URL you need to be shared via the buttons. If no URL is added, the current page URL will be shared. Buttons Size - Select your buttons size. The size range is 8-24. Show Labels - If the option is checked, the social network labels will be shown next to the buttons.